Have you realized cycling is not just a mode of transport for many but also, a form of exercise and a tool for children to be out on the playground? As parents, it is essential to realize that kids can learn and accomplish so much just by learning how to ride a bike. Not only will it provide the kids with hours of play and fun, but will also help in child development. Moreover, it’s a skill that kids will never outgrow. Early To Bed, Early To Bike, Makes A Child Healthy And Wise!Think about it, there are quite a few things you have experienced in childhood or learned at a young age that you’re nostalgic about. Yes indeed, it has stayed with you till date. This principle also applies to the art of learning how to ride a bike. Kids as young as 3-5 should learn how to ride a bike. We agree there might be several stumbles and scratches at first, however, once they have fully learned it, riding a bike is a skill they will carry with them for the rest of their lives. At the same time, when you let your kids start cycling at a young age, it helps build their muscle memory. Their muscles become familiar with the movement over time. Fall Today Fly Tomorrow: Have you noticed that as adults we always fear about falling off the bicycle? But kids do not have any worry with regards to the same subject. Even if they fall, they cry for some time and forget about it in seconds. This is a very good aspect when it comes to kids learning how to ride a bike. When they are young, it’s easier to build that confidence on two wheels. It will only get harder if they start learning later in life. Confident cyclists tend to be safer on the roads. Taller, Sharper And Stronger: Riding a bike not only will improve your child’s physical fitness but it will benefit your child’s learning development and mental health. If your child learns to ride a bike at a younger age, they will grow up valuing the importance of good health and fitness. Cycling will also you’re your child become socially independent. At the end of the day, it will help them develop strength, balance, and overall fitness. Vitamin N Is The Secret Of Your Child’s Energy And Well-Being:In this digital age, smartphones, computers, video games, and television shows have controlled the source of interest and stimulation for kids. This has only resulted in kids being inactive and lazy. Kids are hooked on these devices and no longer find it interesting to spend their time actively playing outdoors. The best way is to get them a bike and encourage them to go and play outside. This will only ensure that your kids won’t be Vitamin N deficient too. Don’t let your child be a Boo-Boo: The first rule when you teach your child how to ride a bike is to make them wear a helmet. This helps them understand the importance of the helmet and be aware of their safety. Eventually, while you’re guiding them, teach them traffic rules. 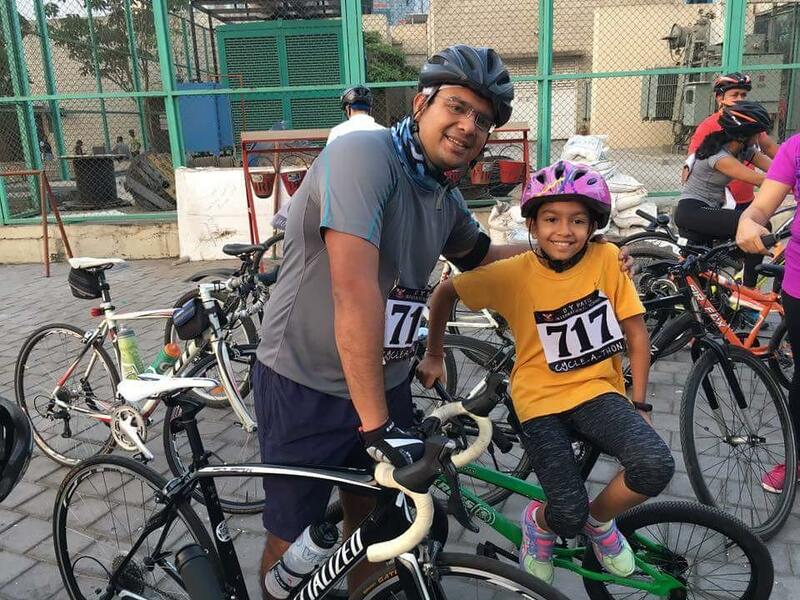 Learning what to do and what not to do in traffic – these lessons will only help them while they ride their bicycle but will also help them in good traffic rule sense for the future. Let Kids Treat Earth-Like An Ice Cream; Don’t Let It Melt: The best part about bicycles is that they are an eco-friendly package. Of course, we all know cycling reduces carbon emissions and eases the most common problem – traffic congestion. As parents, it is also essential to teach your kids the importance of reducing their carbon footprint. This way, your kids will understand their contribution to protect the environment and will be proud to preach it to others. Once they grow older, you can only expect them to carry your advocacy. 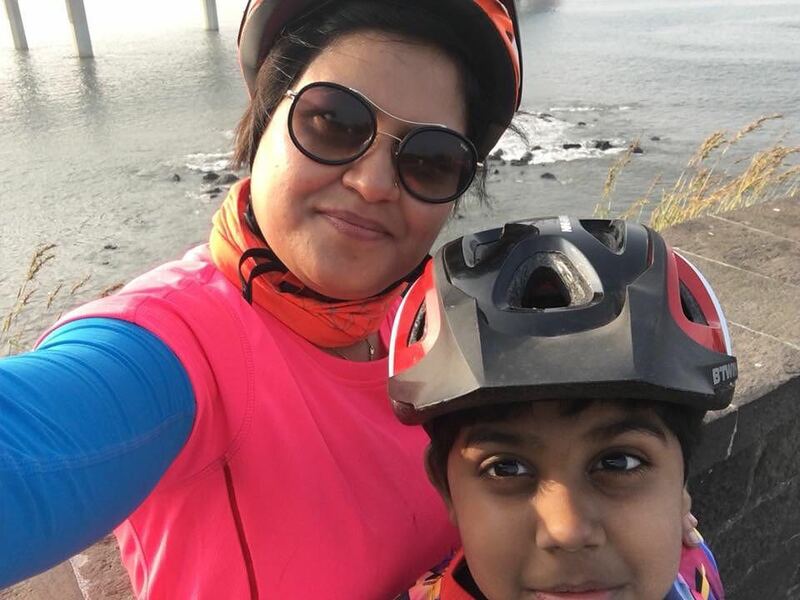 Hum Saath Saath Cycling Karenge: Riding a bicycle is not only a form of exercise for you and your kids but also an excellent way to spend some quality time with them. Imagine! You love cycling and if your kids learn how to ride a bike, you can share that with them. This will only call for more family outings with your bikes out in the playground. This will only help you bond better with your children and give them the time they deserve from you. On the other hand, your child will do what he does best- Have fun and just enjoy the ride with you! Barbies, Racing Cars and BICYCLES: When you gift your child a racing car or a Barbie, have you noticed initially he/she treats it like as if it’s their newborn baby? 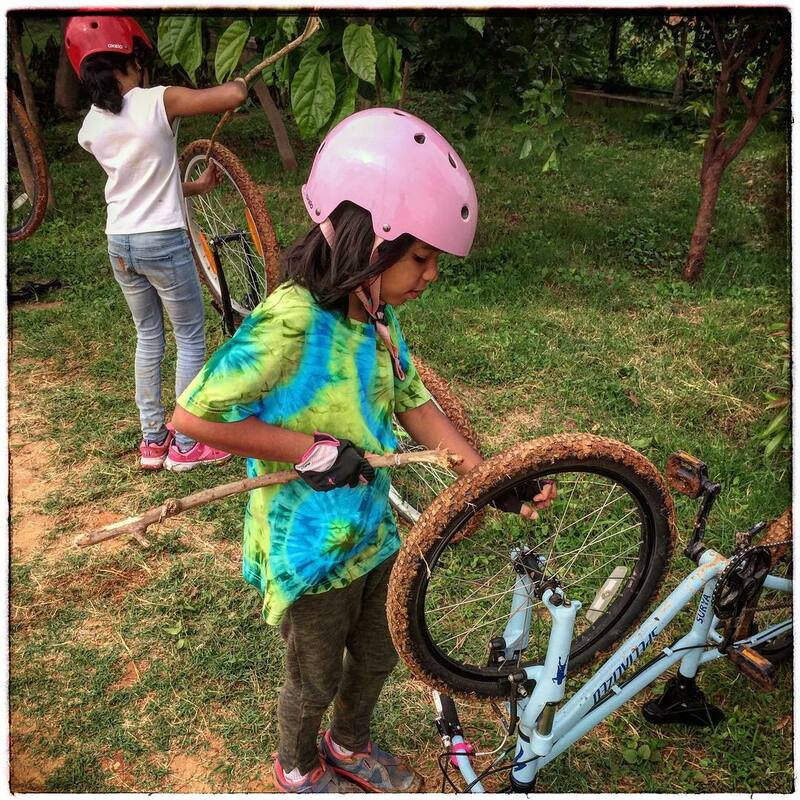 Yes, they learn to take care of their bikes too. There is a lot of responsibility that comes with owning a bicycle as well. Right from cleaning it to seeing that it is repaired when broken, it’s important for you as a parent to teach your kids the sense of responsibility. This way, your kids will learn how to respect what’s been given to them. As they grow up to the point of owning a car, they will have the same positive attitude because they acquired a sense of responsibility from a young age. Lastly, before teaching your kids how to ride a bike, you should purchase a bike that suits their age, height, and weight. As a parent, ask them what colour they desire or what brand. This way, kids will treasure and love every moment of riding the bicycle. Well, as a parent you would definitely give your kids life lessons only by giving them their own bicycles!